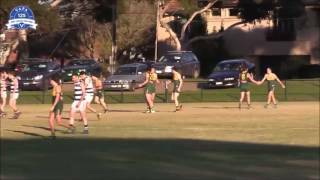 Hampton Rovers junior Andrew Brayshaw is heading to Perth, selected at pick 2 by the Fremantle Dockers at Friday's AFL Draft in Sydney. He was one of three Rovers players picked up by AFL clubs. The club is pleased to announce Paul Curry as the new Senior Women's head coach for the 2018 VAFA season. Training for the 2018 season is now underway for both the men and women and continues until mid-December. We welcome all new and existing players. The link between Hampton Rovers and major sponsor Buxton has strengthened with former President Matthew Gray joining the team. Hampton Rovers had the honour of hosting the first ever official VAFA Women's game on Friday evening and what a sensational night it was at Boss James Reserve. 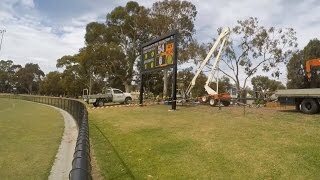 After more than three years of planning, the new LED scoreboard at Boss James Reserve was erected on Monday and switched on for the first time.